After the brilliant exploits of Tiger Roll at Aintree, the show rolls on to Ayr for the Coral Scottish Grand National this weekend. Saturday is already a sell-out but there are still Club badges and Grandstand tickets available for Ladies Day, the opening day of the Festival, on Friday. Joe Farrell beat Ballyoptic by a nose in last year’s edition - the shortest winning distance in the history of the race - as three novices featured among the first four home. Four novices have won the race in the past 10 years and, in comparison to the more traditional trends of the Aintree showpiece, this is a racet in which more unexposed sorts under light weights warrant close consideration. In the past 10 runnings, 33 who finished in the first four carried under 11st while 19 shouldered 10st 6lb or under. Trainer: Lucinda Russell. Odds: 10-1. The nine-year-old was a huge eyecatcher in the Ultima at Cheltenham after making early errors and looking outpaced before finishing with a mighty rattle for fourth. The Scottish Grand National has been the target all year and he runs from the same mark as Cheltenham, with a weight of 10st 6lb. Big River is no mudlark but his connections will hope for some give in the ground. Trainer: Sue Smith. Odds: 12-1. The grey ran a blinder to be second in the Ultima at Cheltenham and was the subject of very strong vibes before the Randox Health Grand National, but sadly his race was over before it began after he landed steeply over the first and fell. Jockey Danny Cook caught the grey by the second fence and he will be fresh enough to run a big race at Ayr. His jumping is sound and the Aintree mishap was just unfortunate. 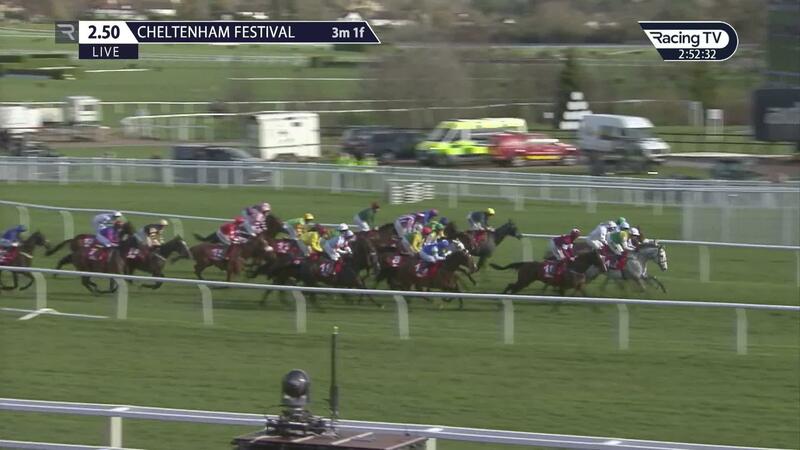 He was third in this race last year and looked very good at Cheltenham on his first start after wind surgery. Trainer: Sean Doyle. Odds: 16-1. A recent gamble for this prize, the nine-year-old was a winner at the Scottish Grand National meeting last year when triumphant over Dingo Dollar, the current favourite for this year’s race. A sighter in the Becher did not go to plan early this season and two subsequent hurdles starts have protected a mark of 142 over fences. He is interesting on last year’s form, and additionally so after recent market support for Irish trainer Sean Doyle. Trainer: Alan King. Odds: 14-1. Alan King will saddle the likely favourite in Dingo Dollar, but this seven-year-old is a novice and has an attractive profile with a weight of 10st 11lb. While he has stamina to prove, novice chase form behind La Bague Au Roi and a resurgent On The Blind Side at Kempton reads well. There is one caveat. The novice handicap chase on the card is also under consideration for him and he may line up in that, as Dingo Dollar did last season. Trainer: Nicky Richards. Odds: 20-1. A ten-year-old but fairly lightly-raced, Chidswell has run his best races on his two most recent starts, last time out achieving a nine-length victory in the Grimthorpe Chase. He stayed the 3m2f trip at Doncaster well and while this 4m distance demands more again it looks worth a shot with a horse in form and one who could be peaking at the right time. He is guaranteed a run at Ayr and will race from the foot of the weights.